Alife Pharmaceutical,Inc has a large-scale production capacity with 30,000 sq. ft. of warehouse logistics, where we have a state-of-the-art production line with an expeditious and accurate system. Our facility also have microbiological and analytical labs, which are used to complete comprehensive tests on all raw ingredients and final products.Customers can feel confident knowing that our products have been thoroughly tested to ensure optimal levels of purity, strength, conformity, identity, and uniformity. Along with our FDA certifications, we hold certifications and approval from the NPA to manufacture safe personal care products, as well as from NSF International to produce safe sports supplements.Moreover,we are also a certified producer of organic vitamins and supplements, as determined by Quality Assurance International(QAI). Our productive process meets the highest standards of GMP and FDA certificate with more than 10 years of experience. As a GMP nutraceutical certified, we provide our customers with the peace-of-mind in knowing that their vitamins and supplements have been manufactured in accordance with the FDA's good manufacturing practices (GMP). This certification also confirms our ability to meet the organization's stringent standards with the higest-quality products. 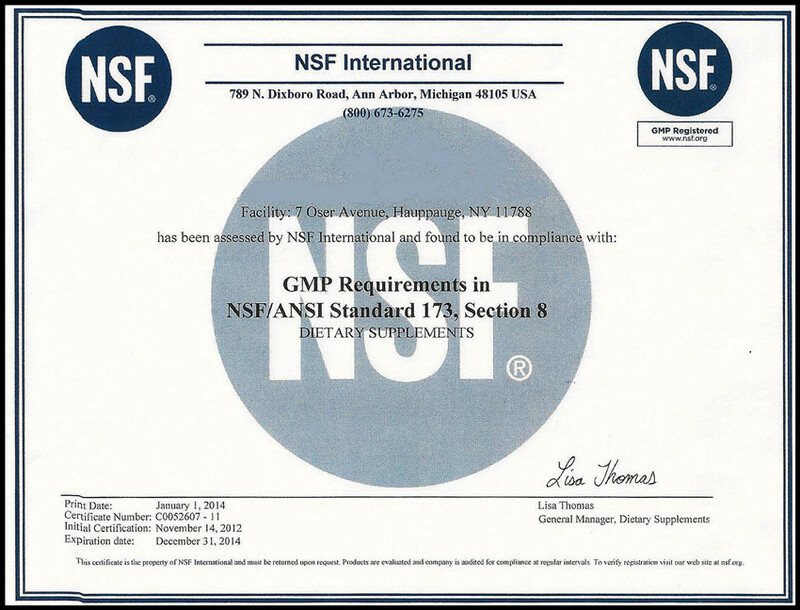 Our GMP certification is the basis of our quality assurance system, and guarantees that all our production equipment and practices meet the strictest FDA guidelines. We also conduct comprehensive tests on all of our raw materials and finished products to guarantee our quality and safety. And because of this deep commitment to the quality, safety, and efficacy of our products ,we provide our consumers with a trustworthy and credible compass to choose the guaranteed high-quality brand in the world. Trust Alife Pharmaceutical,Inc.，healthy mankind create beautiful future.